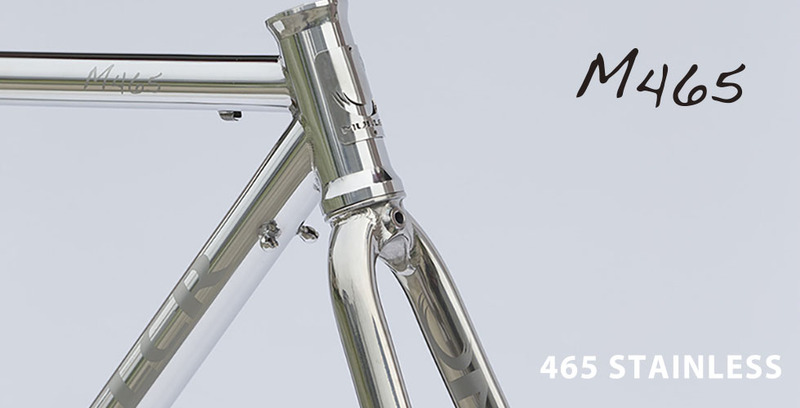 The M465 goes much deeper than the the beautiful shine of the material. 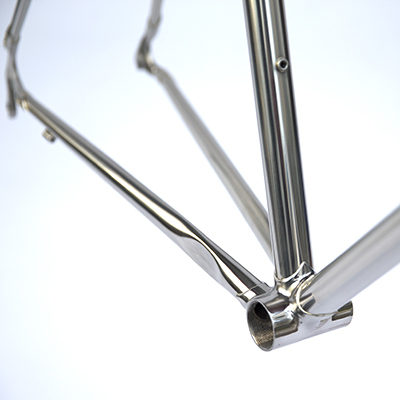 This newly designed heat-treated stainless tubing provides exceptional stiffness for a responsive racing frame that delivers your power to the road. 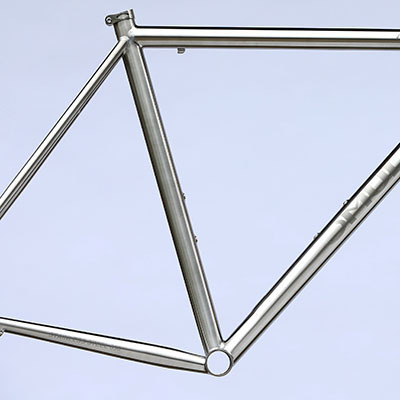 We have paired this frame to a 3Al-2.5V titanium fork, which provides just the right amount of road noise damping and excellent stability at any speed. You’ll never tire of the silhouette of this all-metal masterpiece, while the compatibility with electronic shifting systems provides options and peace of mind for life-long enjoyment. 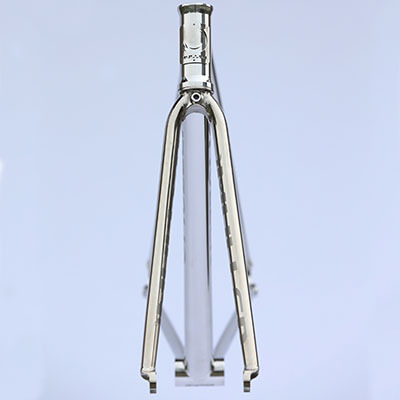 The shape of the fork perfectly matches the frame, and the properties of the 3Al-2.5V titanium combined with a gentle bend in the fork legs provides excellent compliance. The lustrous naked finish and silhouette born of stainless tubing, combined with a performance oriented ride will deliver enjoyment for many years. Not limited to alloy wheels, the frame is also well-matched to the latest carbon wheels. 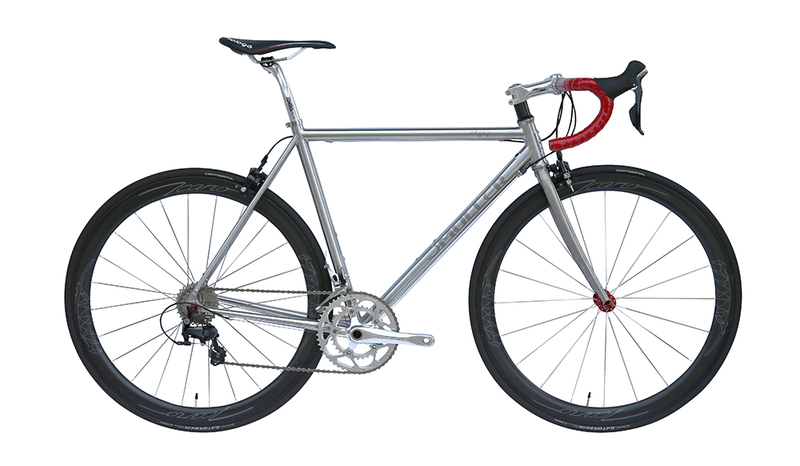 Using the newly designed 630 heat treated stainless steel tubing, this bike is suitable for everything from long rides to racing. 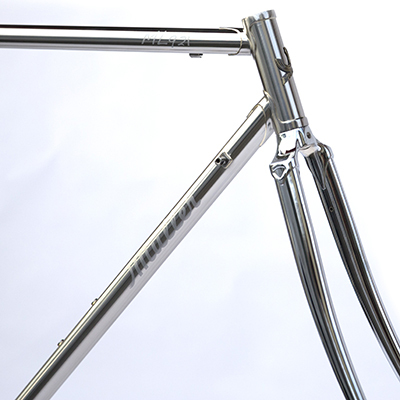 This new tubing gives the frame excellent compliance and road holding capabilities. To complement this frame, we have chosen a 3Al-2.5V titanium fork, not only for the style and colouring, but also the balance of stiffness between the frame and fork delivers a refined ride. 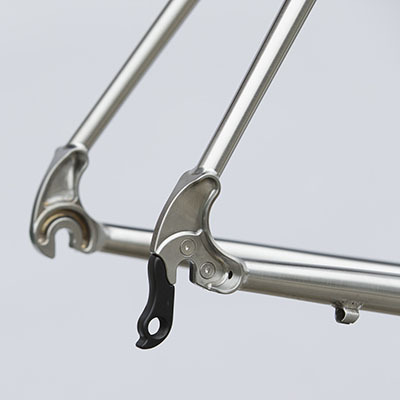 The compliance makes this frame an ideal partner for long rides, while the pedalling response unique to metal frames will not let you down in a race situation. A complete package at an affordable price, this model makes the stainless experience accessible to more riders. 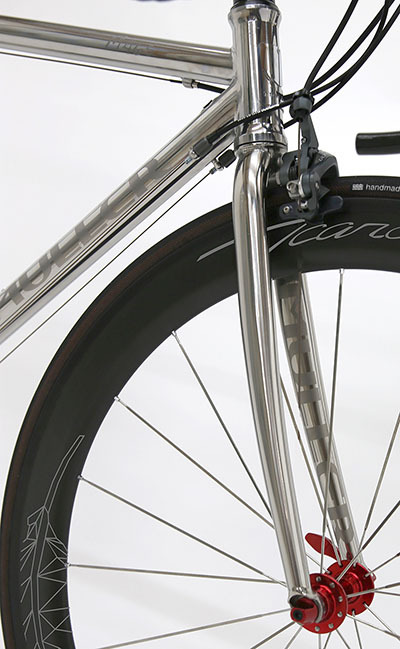 The properties of the 3Al-2.5V titanium combined with a gentle bend in the fork legs provides excellent compliance. 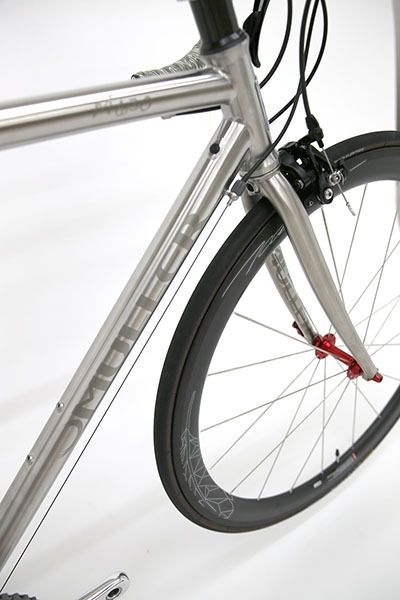 while the compatibility with electronic shifting systems provides options and peace of mind for life-long enjoyment. 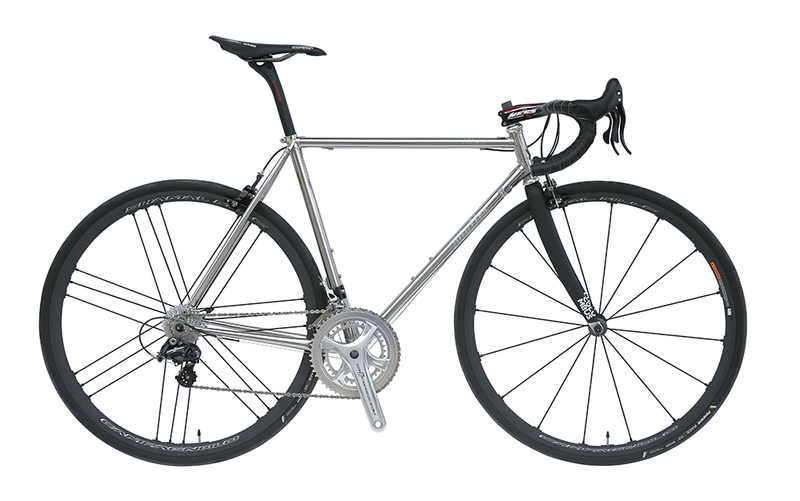 The ML921 is the model for the rider who is searching for the true essence of the road bike. 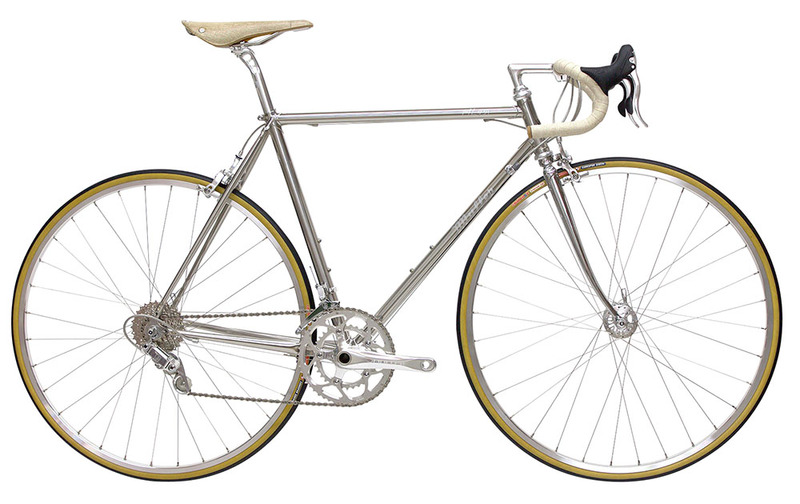 With the elegant styling and lustre of the narrow stainless steel tubing, this bike strikes an emotive silhouette. 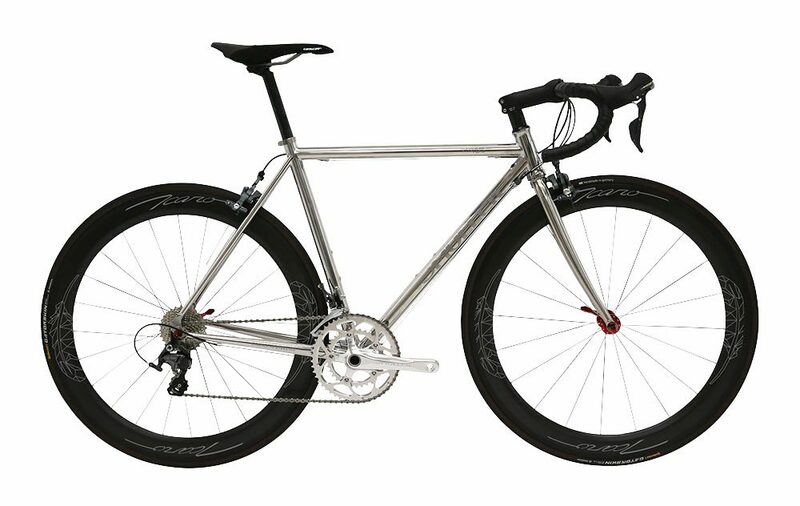 Utilising Reynolds 921 Stainless tubing and lugged silver brazing brings out the ride quality: A silky smooth ride combined with responsive pedalling is your invitation to high speed road cruising. 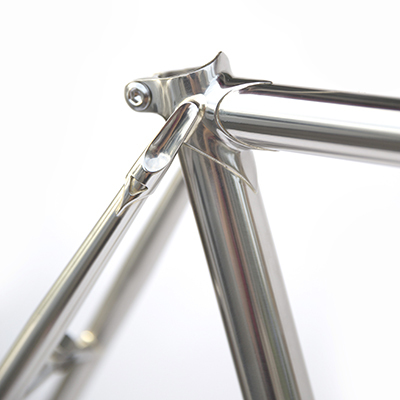 The elegance of narrow tubing combined with the long-lasting shine of stainless steel, but minimising the “classic” looks, this model looks to the future and the ideal metal frame. 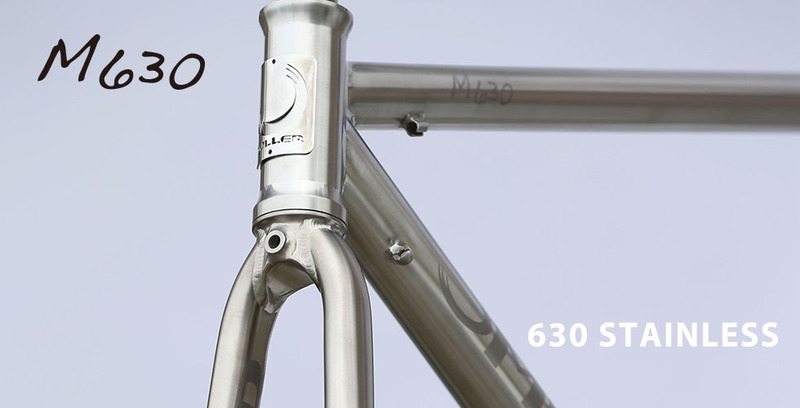 We give the rider the choice between a Tange chromoly fork well-matched to the aesthetics and ride of the frame, or a Columbus carbon fork for those preferring a lighter, stiffer feel. Stylish but understated logos on the top- and down-tubes complete the package. Muller is all about harnessing the properties of the material in the pursuit of beauty. 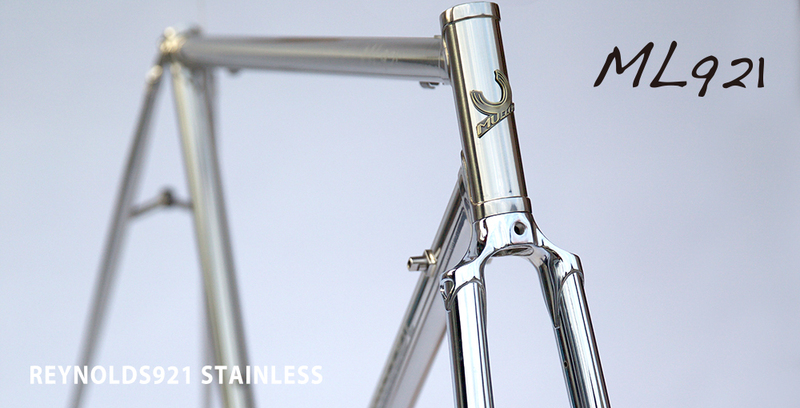 The simplicity and elegance of this bike will ignite your desire.